Ranch in Longbranch in Carthage ISD. 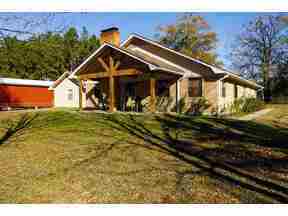 138 acre ranch with a large 2 bedroom 2 bath home and a separate guest house. Two barns, RV Carport and 3 stocked ponds cross fenced and ready for cattle. One pond is stocked with catfish and the other with bass, crappie and blue gill. Approximately 40 acres has planted pines. ©2019 Longview Area Association of REALTORS®. All rights reserved.